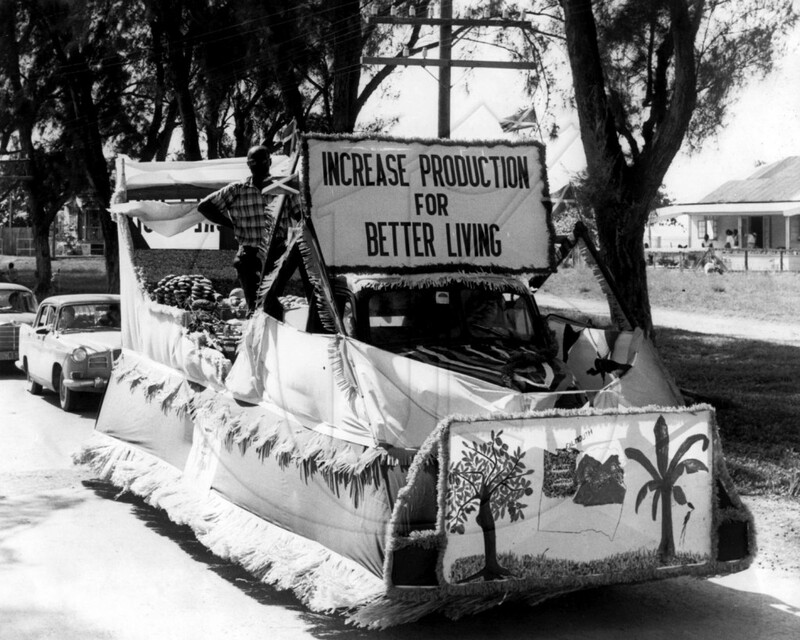 The call to ‘Grow What We Eat, Eat What We Grow’ might seem fairly new as the popular Jamaica Jamaica Agricultural Society (JAS) campaign is only nine years old, but the sentiment has apparently been around since Independence. Here, this farmer sends the message to future generations from an Independence Day parade in 1962. Today marks the official launch of National Farmers Month 2013. The initiative is spearheaded by the JAS, which is the oldest, most deeply rooted organisation in rural agricultural development in the Caribbean. Currently headed by Senator Norman Grant, the organisation was established in 1895 under the instruction of then Governor General of Jamaica, Sir Henry Blake, to generate interest in agricultural pursuits across the island and establish a forum for all farmers to discuss and initiate the necessary plans for the welfare of the farming community. Visit our Directory for more information on the JAS and other agricultural organisations.